Highly Recommend written by mobile Parcel received. Parcel received. Item is thick and bulky. Yet to test. Highly Recommend Good buy. Will buy again. Great to buy this items. Will recommend friends. Delivery was fast and well packed. Water absortion as advertised, only thing is that colour is very light, worry ig may get stained easily. Item well received. 3rd time buying this mat. Love the super absorbency of the mat. Previous one used for 1 year before it started to get not so absorbent. So bought new one to replace. Delivery was very slow, took two weeks to receive, a $6.90 item was missing from the order. Seller still trying to deny, request for refund. I only received $5.64, seller told me to ask Qoo10 when I ask why short-changed. Not a recommended seller, will NOT order again. Fast delivery and the large size still better. double check to make sure that the orders will be delivered correctly? The order number that is missing in the email is this, Order no: 276721284. I am keen to buy but post does not show what is the differences between 01 series, like 0104 with 02 or 03 series. Please explain. If I am buying about 4 to 6 diatomite mats, why do I have to pay so much for shipping to one single address? Also, are the sizes in cm or inches? Will there be free gifts for purchase? Please reply asap. 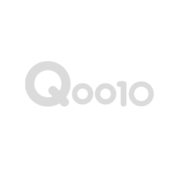 I want to use Qoo10 weekend discount for purchase. Ordee number is 277102402 to last digit 277102405. Total 4 items bought. I can remark it to give you the random gift. oh. not yet order but asking if got antislip mat like other sellers.